“A teacher’s role is not to create students in his own image, but to develop students who can create their own image. Good teacher is like a candle, it consumes itself to light the way for others”. September is a month dedicated to teachers and educators. Teachers’ day and World literacy day, both falls in September. It is also a month to understand or measure a teacher’s achievements while their students’ take their first term exams. Worldwide lots of innovations are happening in education systems. From Gurukool to Home schooling …. Every system has its plus and minuses. 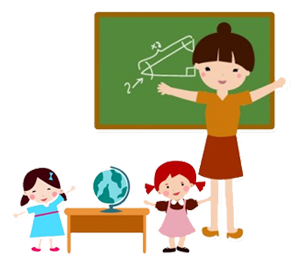 But underlying principle is whichever may be the system, it should help today’s children to live a better tomorrow by gaining right knowledge, attitude and skills. Any system that they adopt or the parents make them choose should help them in that. Educatorsshould be encouraged to shift their teaching pedagogies to implement student-centered learning. Accepting and supporting heutagogical practices for learners of all ages is the right way forward. What will heutagogy look like in our schools? At Seth M.R Jaipuria Schools we have made a beginning to adopt heutagogical practices, albeit in a small way. Let us resolve to give our children all the opportunities to make learning happen.